Our TAMS donations seem to be bigger than ever this season. This is great news. 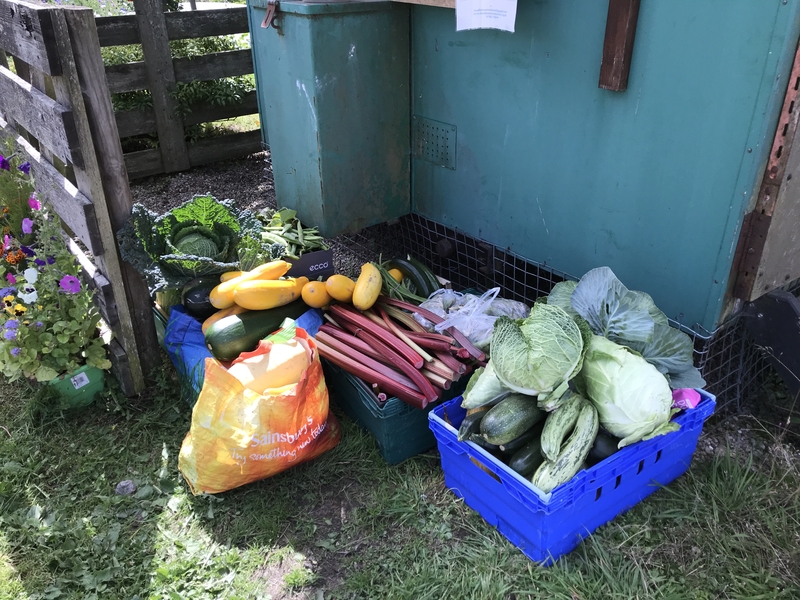 Donations to TAMS will produce income for GFAA at the end of the year and help spread the health and environmental benefits of eating locally grown food around our wider community. If you want to donate any surplus you have, but can’t make it down for the Thursday afternoon pick-up, let us know and we can arrange for our volunteers, Gordon and Mike, to pick up stuff for you on Thursday morning. Please be specific about what you want to be taken! 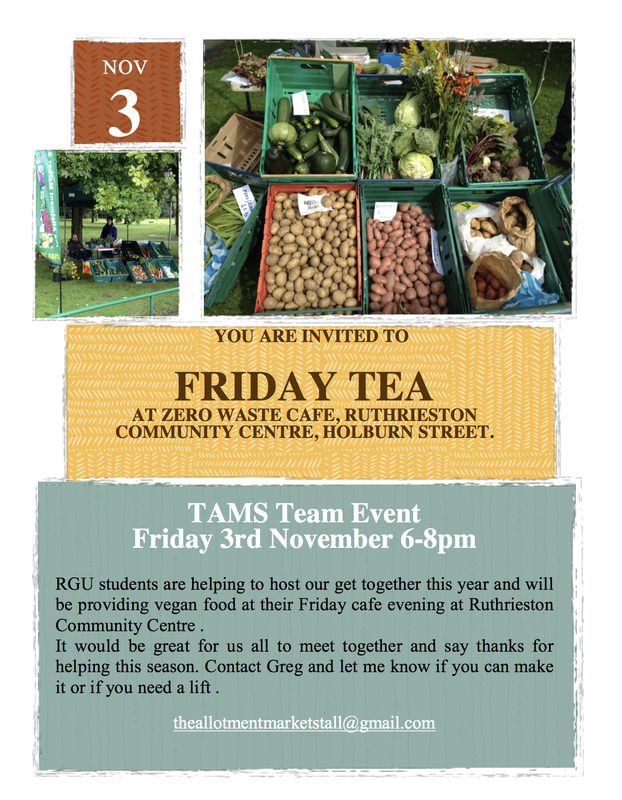 The Allotment Market Stall (TAMS) Team are holding a thank you event this week for all who contributed to their collections this season. 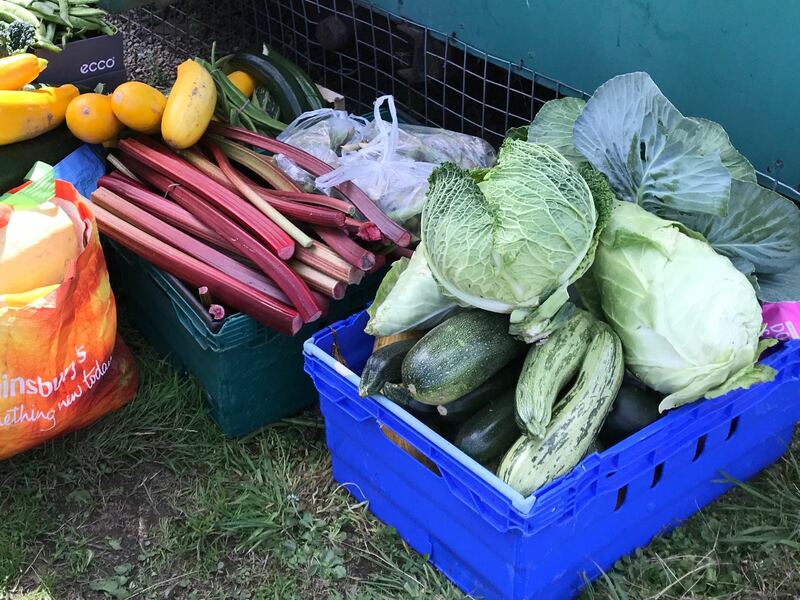 Our first TAMS collection for the new season got off to a super start today with a haul of rhubarb, blackcurrants, gooseberries, beans, swedes and kale set out for pick up. Thanks to all who contributed and volunteered surplus stuff. Remember TAMS collect every Thursday at 15.00 and net profits come back to GFAA to help fund our site maintenance activities. 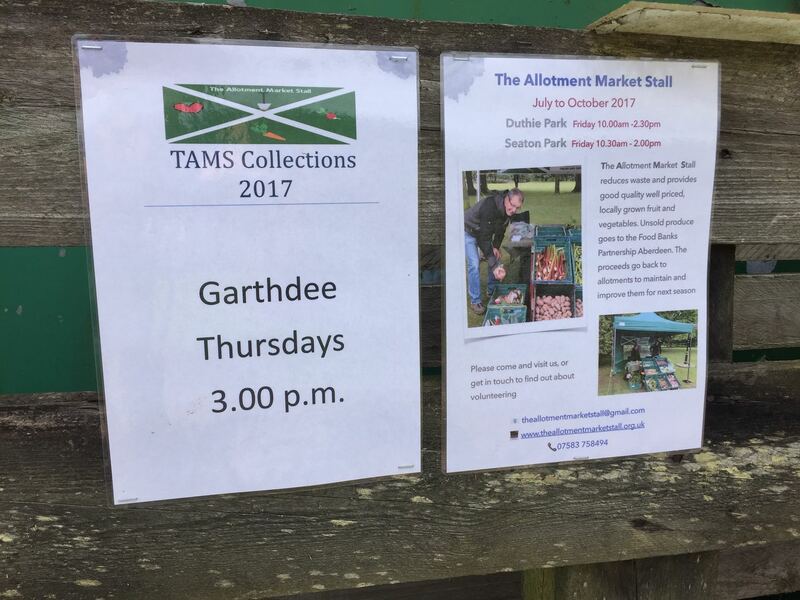 The Allotment Market Stall (TAMS) project is about to start its collections for the new season. 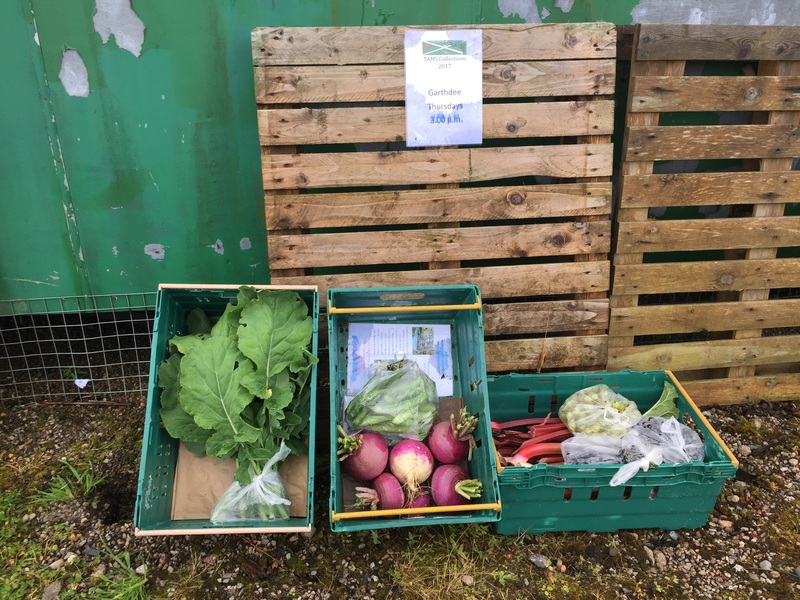 TAMS collects any surplus produce plotters want to see go to a good cause and sells it over the weekend. The profits generated are then returned to GFAA as a contribution to our running costs. It’s a real win-win arrangement. Leave your contributions by the Bothy please. If you have stuff on your plot you want to donate but find it difficult to get down to put it out for TAMS collection drop an email to webhelper [at] gmail.com and we will arrange for the volunteer squad to pick it up and put it in place – but please be specific about what is to be taken! Friends and supporters of The Allotment Market Stall may be interested in this event. Email the address below for more details.